Sand Hill Review Press, 9781937818470, 352pp. A mystical vision of an airship appears to fifteen-year-old Juanita. The ethereal captain commands her to prevent California's thrown-away people--including young children--from boarding trains to an asylum. That institution's director plots murder to reduce the inmate population. Yet to save innocent lives Juanita must take lives of the corrupt. How can she reconcile her assignment with her belief in the sacredness of all human life? And will she survive to marry her betrothed? Juanita sets out despite inner trepidation to sabotage the railroad. Her ancestor Billy guides her. Then bit by bit, she discovers the gut-wrenching truths all of her ancestors neglected to reveal. 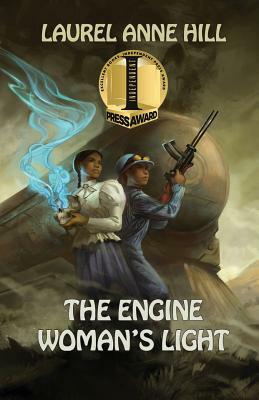 Come visit Juanita's world--an alternate nineteenth-century California--where spirits meet steampunk, where both love and anger emanate from beyond the grave.